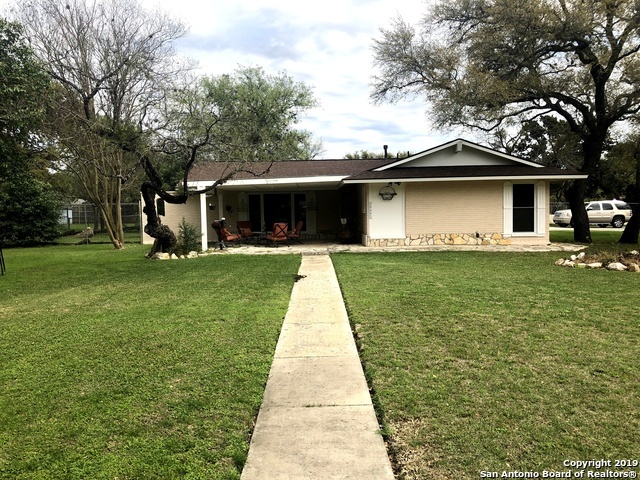 All HELOTES PARK ESTATES homes currently listed for sale in Helotes as of 04/20/2019 are shown below. You can change the search criteria at any time by pressing the 'Change Search' button below. "Beautiful home in desirable Helotes Park Estates ** one owner ** located on a xeriscaped 4.37 acre lot loaded with oak trees ** 4 bedrooms & 3 baths ** 2 story, double sided fireplace in cozy dining room/sitting area ** family room has tall ceilings with a view of the gorgeous pool & backyard ** 3 car garage/side entry ** unique mixed use (party room/dance) with full kitchen ** study downstairs ** master suite has a fireplace ** 3 A/C systems ** roof replaced 2017 ** pride of ownership really sh"
"Attractive ranch style home nestles on an oversized lot w/mature oaks, large pool & inviting pavilion for bkyd gatherings. Inside transformation includes electrical, plumbing, flooring, open concept living, lighting, appliances & so much more. Stunning kitchen makeover offering custom cabinets, recessed lighting, brkfst bar & gorgeous granite counters. Thoughtful mstr suite featuring crown molding & walk-in shower with detail tile work. Awesome laundry area w/lots of storage. Back Florida room f"
"BEAUTIFUL & QUAINT HOME IN HELOTES! 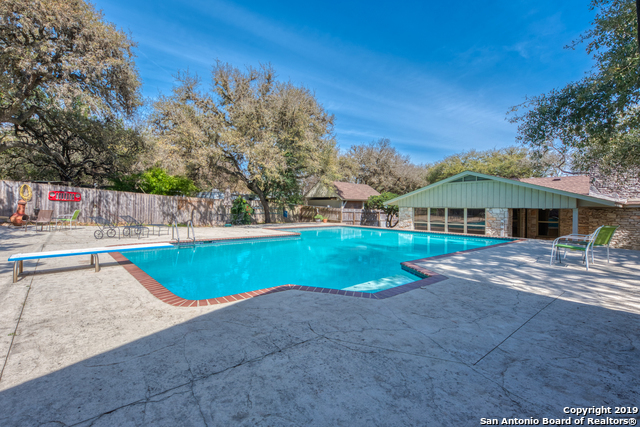 VERY SOUGHT AFTER HELOTES PARK ESTATES W/NO HOA. HOUSE ON CORNER LOT W/RECENT NEW EXTERIOR PAINT, 2 COVER PATIOS, REAR GATE FOR RV/BOAT, MATURE TREES. INTERIOR UPDATED BY PREVIOUS OWNERS INCLUDES ELECTRICAL, HVAC, DUCT, FLOORING, BATHROOMS, DOUBLE PANE WINDOWS ETC. FEATURES INCL OPEN FLOOR PLAN, DOUBLE FRENCH DOORS, HIGH CEILINGS, UPDATED STAINLESS STEEL APPLIANCES,MODERN KITCHEN BACKSPLASH. LOCATED IN GREAT SCHOOL DISTRICT AND WALKING DISTANCE TO O'CONNOR H.S"